An Alexandria misdemeanors court sentenced rights lawyer Mahienour al-Massry and Bread and Freedom Party member Moatasem Medhat to two years in prison on Saturday on protest-related charges, according to lawyer Mohamed Ramadan. 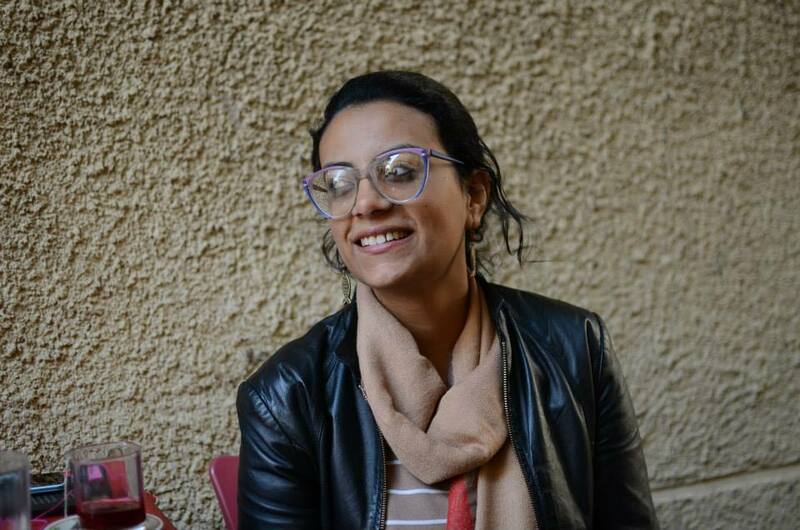 Three other defendants, Bread and Freedom Party members Asmaa Naeem and Zeyad Aboul Fadl, as well as Walid al-Emary, a lawyer and member of the Dostour Party, were sentenced to three years in absentia in the same case. The case is related to a protest that took place on June 14 in the Alexandrian neighborhood of Miami against the ratification of the maritime border agreement in which Egypt ceded sovereignty of two Red Sea islands, Tiran and Sanafir, to Saudi Arabia. While no protesters were arrested at the time, several lawyers and activists found out by chance that legal action had been taken against them when they were referred to court in July. The five defendants learned that they faced charges of assembly, protesting without a permit, threat of force and insulting the president. An appeal has been scheduled for January 13, 2018, at the request of the defense, lawyer Ramadan told Mada Masr. On Saturday, security forces also arrested three people outside the courthouse in Alexandria. Mohamed al-Hadidi, Haitham al-Deeb and Mostafa al-Sherif, who were part of the chanting crowd assembled outside the court when Massry exited after the verdict, were detained by police and transported to Al-Mansheya Police Station, where they will continue to be held. Their cases have been referred to prosecution. Massry previously served one year and three months in prison on charges of assaulting police officers in relation to a March 2013 protest, and was released in August of last year. She was detained in 2014 as well in relation to a protest that was held outside the Alexandria courts complex in December 2013.